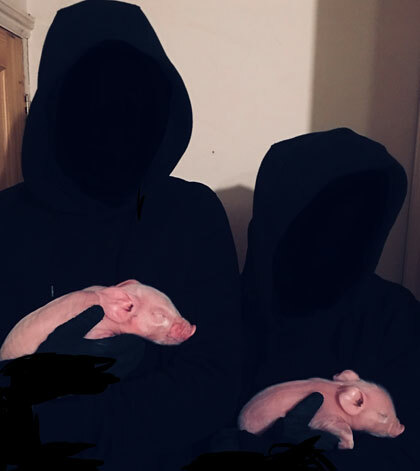 "The ALF entered a pig farm and liberated two piglets waiting to go to the rearing unit in a few weeks time, by the time they reach slaughter age they would of been destined for peoples barbecues in the form of sausages and pulled pork but instead they were granted a reprieve, just in time for Christmas. What better wish could you ask for in the holiday season? Merry Christmas from these 2 little piggies. They will never be going to market."